The South Fork Kern River is home to California's largest lowland riparian forest. 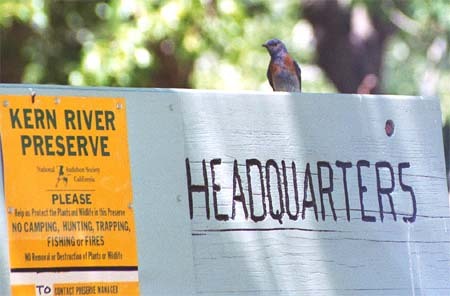 It is one of four "Flagship Projects" of the California Riparian Habitat Joint Venture. A shared effort between Audubon-California and The Nature Conservancy (TNC) saved 1,136 acres of this forest. 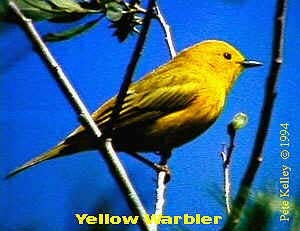 In May, 1999, 156 acres of land forming the new Kelso Creek Sanctuary of the Kern River Preserve was purchased by Audubon. 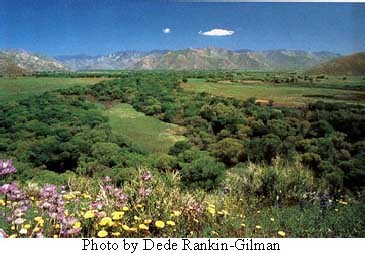 On March 31, 2005, Audubon acquired 1,640 acres of Sprague Ranch. Because of this purchase Audubon’s Kern River Preserve now includes another 5 miles of frontage on the South Fork Kern River. Then in early 2006, another 105 acres was acquired from the Alexander family. In 2009, two parcels were purchased from heirs of the Alexander family for a total of 106 acres. At last count the total acreage of the contiguous preserve to 2,987 acres. Audubon-California's Kern River Preserve, a "National Natural Landmark," is located fifty-seven miles northeast of Bakersfield along the South Fork Kern River in Weldon, Kern County, California. Our headquarters is found on the old A. Brown Ranch. The decaying flour mill found just east of the Preserve's entrance stands testament to its agricultural past. The Preserve is open dawn to dusk every day of the year. See our Travel Information page for maps and directions.